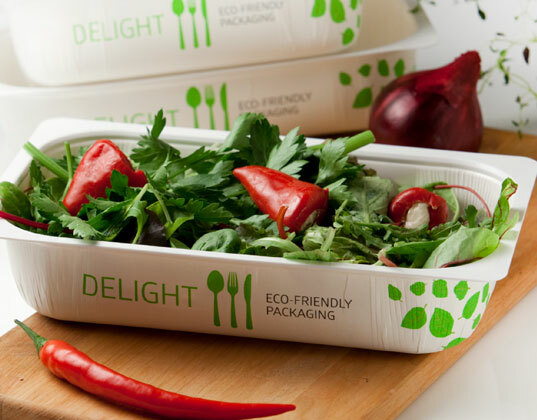 DeLight is an ecological and recyclable packaging that has the possibility to replace plastic and aluminium trays in the food industry. DeLight package is a new type of hybrid package, where cardboard properties are enhanced with plastics. The Delight packaging is oven-proof, microwaveable and can be frozen. The packaging is suitable for products packed in a protective atmosphere and it also protects the contents from light. The packaging is suitable for MAP (Modified Atmosphere Packaging) and has excellent food preservation properties.